Cheers to the Holiday Season and Merry SITSmas!!! Aah... a day filled with FUN... chances to win a prize every hour and visit fellow SITStas! One of the Giveaways is sponsored by moi... YES... you can win Fifi art! Bonne Chance! Merry SITSmas to you too! Glad to meet you! I just love visiting your blog! It's always so artful and creative and happy! 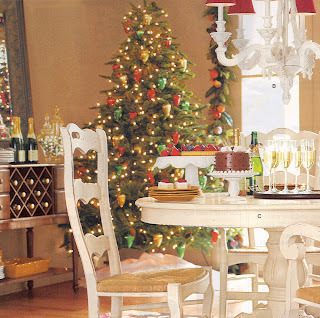 Wishing you a lovely and joyous holiday season! Love it!! You are so talented, it's ridiculous! Cool reindeer! Love your blog. Since today is ALL about the giveaways I have one going too! Come on over and enter. It's a couple posts down from my SITSmas post!! Merry SITSmas!!! LOVE YOUR STUFF. 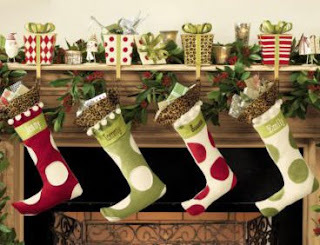 I'd love to see a painting of Christmas stockings on the mantle. Just letting you know I blogged about my DVD prize and linked back to you. Merry Christmas! Love the photos SITSta! Merry SISTSmas. I just joined the fun! Thanks for the heads up. ooh i love your blog...very nice! Your blog is sooo happy; I enjoy your posts every day! Love your work!!! Merry SITSmas, glad I found your blog! Merry SITSmas to you and OOOO now I have to stay glued to my desk today...waiting for YOU to come up on sits!!!!! Merry SITSmas! You do those paintings! They are amazing! They remind me of Matissa a little bit...one of my faves! I hope I can win one in the giveaway today. I'll be back to check out your blog on a less busy day! you're sure getting in the spirit! It looks and sounds glorious. I'm intrigued. Merry SITSmas, and what delightful use of color you have in your paintings! I feel cheered just stopping by! Can see you have been very busy. Oh, look at the traffic!! 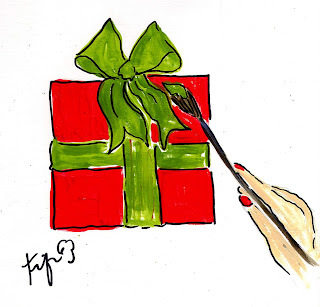 Onward to Christmas Fifi - I hope you have an even better next year than this so we can go shopping together :) !!! I love your artwork!! I love your spirit Fifi. December is my favorite time of the year with all of the white lights, mistletoe, joyful spirits, sales, days off of work and I'm Jewish. You are loverly! MERRY SITSMAS! I love your post today! So festive! I hope you and your family have a wonderful holiday season! You are so dedicated in your painting I admire this. those reindeer rock my world! great painting!! !